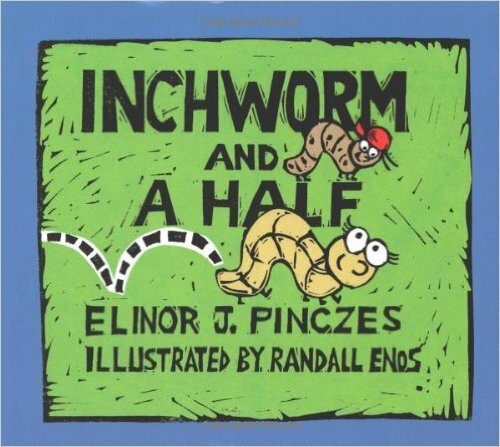 Elinor J. Pinczes's ‘Inchworm and a Half’ (2001) is a humorous story about an inchworm who loves to measure things in her garden. Every loop she takes is one inch. Soon, she however discovers that not everything can be perfectly measured in full inches. Thankfully, she has the help of other worms: a one-half-inch worm, a one-third-inch worm, and a one-fourth-inch worm. With four worms of different lengths, they set about to measure everything in their path! The story does a wonderful job in visually demonstrating to young children relationships between these different fractions. We can see this story being used by teachers and parents to provide a meaningful and fun context for children to learn about fractions and measurement using resources, such as rods of different numbers of Unifix cubes to represent worms of different lengths. All in all, we highly recommend ‘Inchworm and a Half’- it is a wonderful and engaging story to introduce the concept of fractions and measurement to children aged 6+ years old.